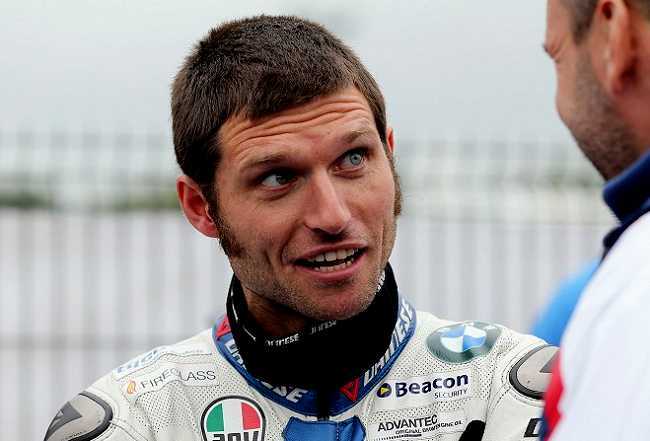 Guy Martin says he'd rather spend 'a day at Monkey World' with his family than return to racing at the Isle of Man TT. The 17-time podium finisher ruled out ever returning to the event where he suffered a high-speed crash at Doran's Bend in his last appearance two years ago. Despite coming close on a number of occasions, a TT victory has always eluded the racer-turned-television presenter. In his book entitled We Need to Weaken the Mixture, the 37-year-old claimed people showed 'a lack of understanding' when they ask why he won't compete around the Mountain Course again. "People still ask me why I don't go back [to race at the TT], and when they do they're just showing a complete lack of understanding of the motivations involved in competing at a place like that. "Going back because it's what I did and I was sort of all right at it is not a good reason to race the TT. It's not even a reason, never mind a good one. "But I look at some riders and it seems that is exactly why they do keep going back. "They're not going back to win", he said. The Lincolnshire racer's personality has amassed him a cult following in the motorsport community. But Martin insists his time as a competitor are over. Spending time with his partner, Sharon, and daughter, Dot, appears to be Martin's preference, rather than having another crack at TT glory. "The years I raced there might define me to some people, but it's not what defines me to myself and it hasn't for years. "Give me a day at Monkey World with Dot and Sharon instead."